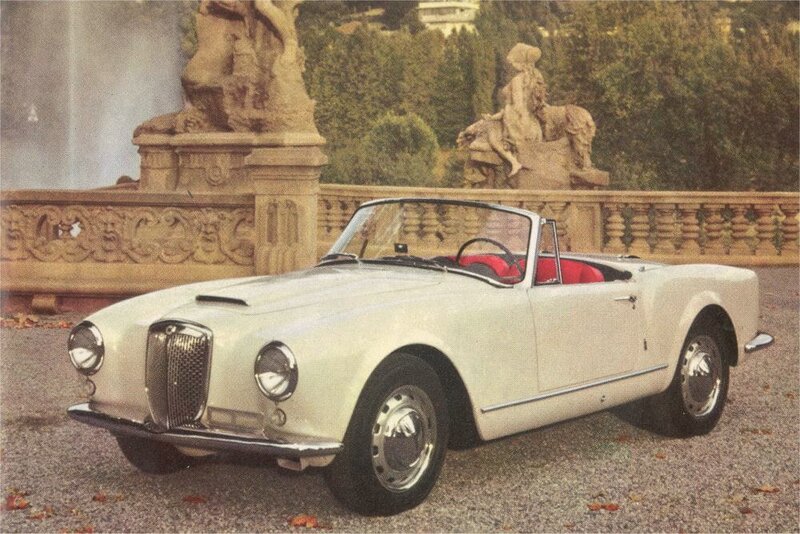 ​The B24 stands for the open two seater Aurelia. These cars came in two types – the earlier dramatic B24 Spider of 1954-55 and the later more sophisticated B24 Convertible(1956-1958), both designed by Pininfarina. The stunning Spider features a wrap-around windshield, split bumpers, side curtains and a difficult to use top. Lighter than the convertible, it was the more sporty of the two. 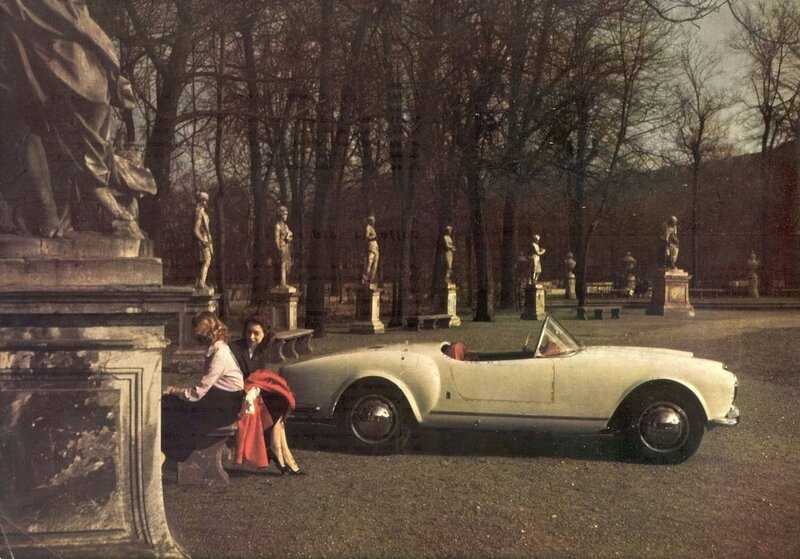 However, it had a more awkward seating position, one befitting a prototype and not a series car. 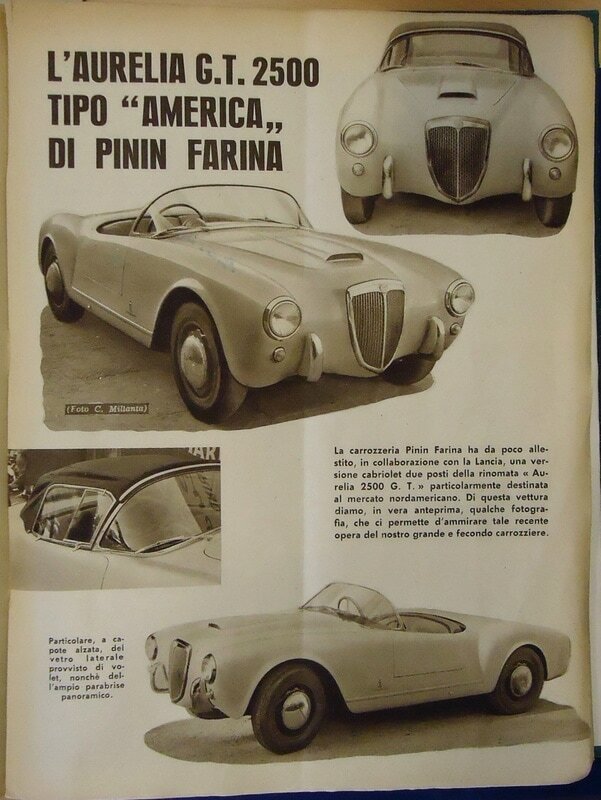 Both these cars were fully designed by Pininfarina and assembled in their factory on chassis provided by Lancia. 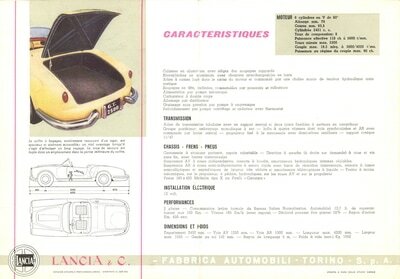 The Convertible was a more conventional car, less of a prototype. 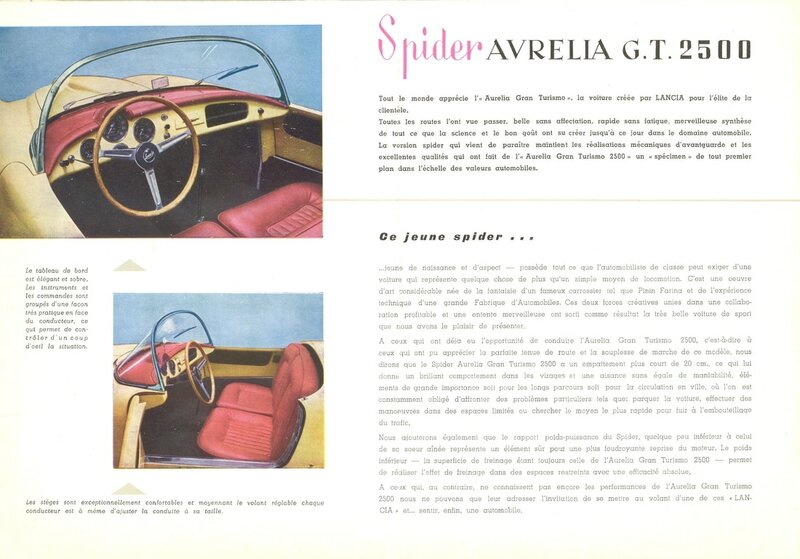 It was easily differentiated from the spider with its vent windows, roll up side windows, and a more conventional, less striking look, but with a more relaxed driving position, being somewhat more considered than the Spider. the Spider was also available with a detuned “America” engine, unique to this car only, provided with a special camshaft. seats - there were differences between the 5th and 6th series Convertibles, with the 5th series seats similar to the Spiders’, fairly large and flat, with a small covered panel between them. 6th series seats were more bucketed, with nothing separating them. 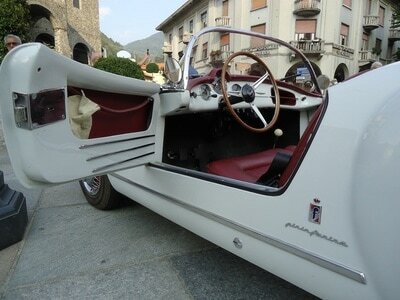 gas tank - in the Spiders and early convertibles (5th and first 150 of the 6th), it was located behind the seats. In the later convertibles, it was in the trunk. 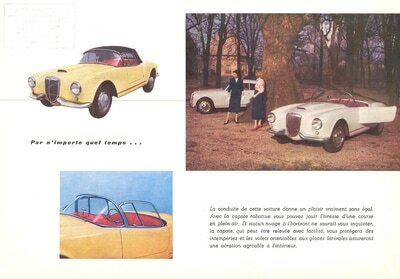 Convertibles came only as LHD cars (S = sinistra), the Spiders came both right and left hand drive.